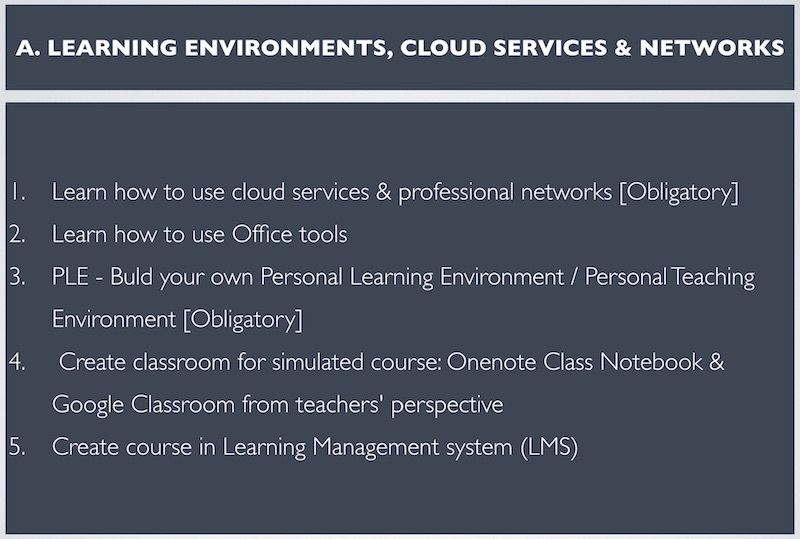 Learning environments, cloud services & network. Each of these themes has some obligatory tasks on top of the selected theme for students to focus. I choose Theme 1; learning environments, cloud services and network. The rational behind selecting this theme is due to its current practice which is needed by all teachers who venture their teaching and learning into the technology-enhanced learning (TEL). I aim to master all aspects of theme 1 for my own practice and to assist my colleagues. INSTRUCTION: Explore apps and watch tutorials: what is available inside Office365? I was more familiar using iTunes U for classroom which includes iWork Productivity Apps such as Keynote, Pages and Numbers. One of the reasons why I preferred Apple more than Microsoft was because of the devices and apps are made to be more ergonomic to the instructional needs. The combination of the devices and apps help to save time when operating the technology in a classroom. We spent less time waiting for booting the computer and launching apps. The interface also somehow made it easier for teachers to shift the pupils’ paradigm from perceiving technology as their means for entertainment, to educational purposes. But the new Microsoft Office 365 is amazing. According to the Office360 Tutorial video on Youtube, the problem statement behind the development of Office360 is to solve teachers’ limitations and challenges in classroom. This is important because it sets the right direction where technology assists pedagogy rather than pedagogy tries to follow the technology, when technology is developed based on the feedbacks from the real-time and actual actions in teaching and learning. This revolutional approach is also timely supported by cloud technology which enabling the teachers to work with students simultaneously, and also for the students to work collaboratively among themselves. This new environment makes Office 365 crossed platforms and easily utilised by all educators and learners. For example, PowerPoint is now can be used as a platform for collaborative work. 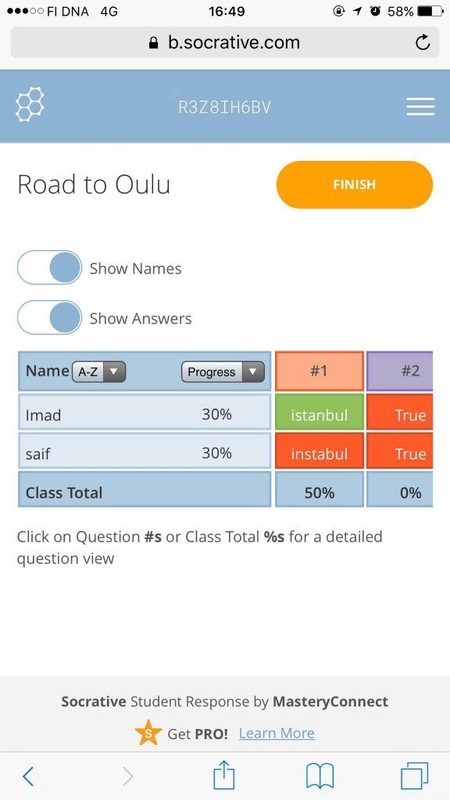 A group of students can work simultaneously online and see the progress at real time. This transforms the way PowerPoint is used before. Similarly, SWAY gives new experience in collaborative presentation of work. I believe that Office 365 has a lot potential to be used to as tools of learning, but Microsoft has to work more on simplifying the “menu”, reducing unnecessary functions without having the need to list down everything overwhelmingly. Words, Excel and other Office tools are doing good as it was but PowerPoint shows tremendous improvement making it more dynamic, especially when we compare it with Apple Keynote. Unfortunately computers that operate Windows might still overrule the efficiency of Office365 due to its current function when booting still takes minutes, especially when the pc is poorly maintained. This is not good for classroom and it needs to be improved. OneNone menu and user interface has to be made more simplified and easier to navigate. 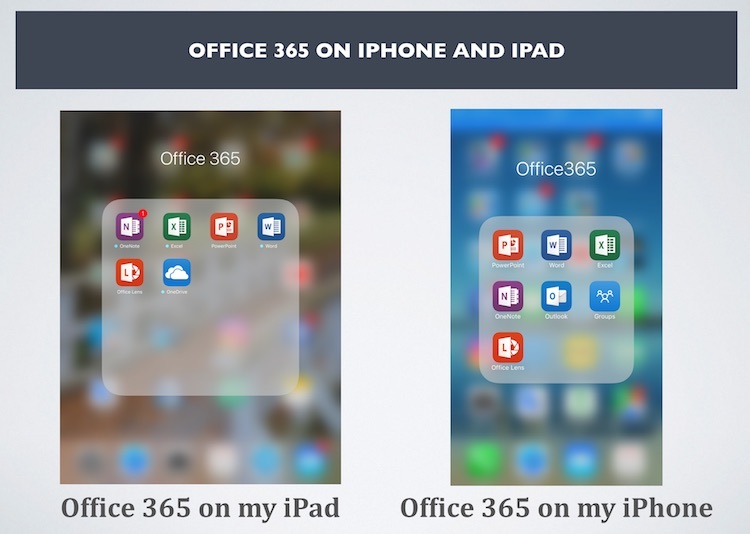 I have been using Office 365 on my iPhone, iPad, Macbook and the online version. I found that all versions are effectively synchronised. I have to make myself familiar with the login process between my personal account and the university account in order to access the collaborative works shared with my colleague. 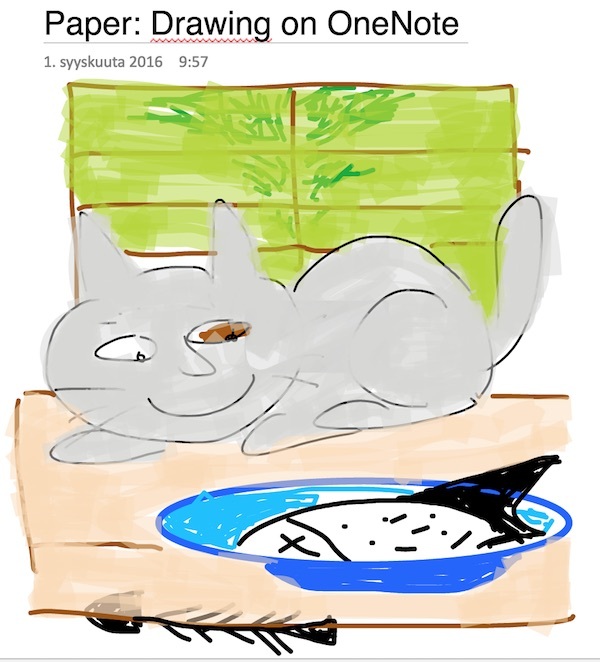 I also tried to do some simple drawing using OneNote on my iPad. The feature is not only useful for the making simple drawing image but on the same basis it empowers OneNote to be a useful platform to read PDF files with annotation (highlighting texts etc). 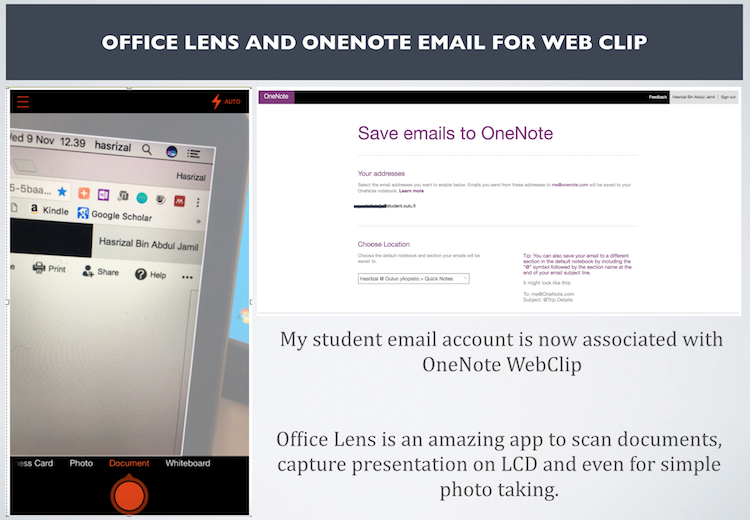 Office Lens is an amazing app to scan documents, capture presentation on LCD and even for simple photo taking. It smartly crops the documents and provide options to save as image, pdf or as an attachment to many directions. INSTRUCTION: Create a short presentation on yourself and your home country using Microsoft Powerpoint. I found that Microsoft Powerpoint’s ability to edit photos is not as good as Keynote at the moment, especially in cropping away unwanted background. So, I would not use Powerpoint to edit photos as recommended by the course. But I believe Microsoft will continue to update and develop it. I am interested to explore more on how social media such as Twitter, Facebook and Instagram can be optimised to support technology-enhanced learning (TEL). 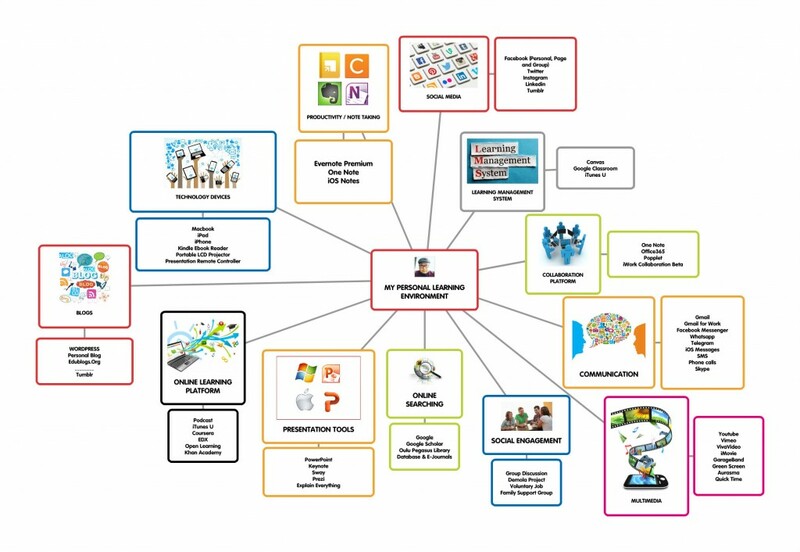 It is not difficult to include social media for teachers’ personal and professional development since there are many Facebook pages and groups, individuals on Twitter as well as Instagram which we can participate. 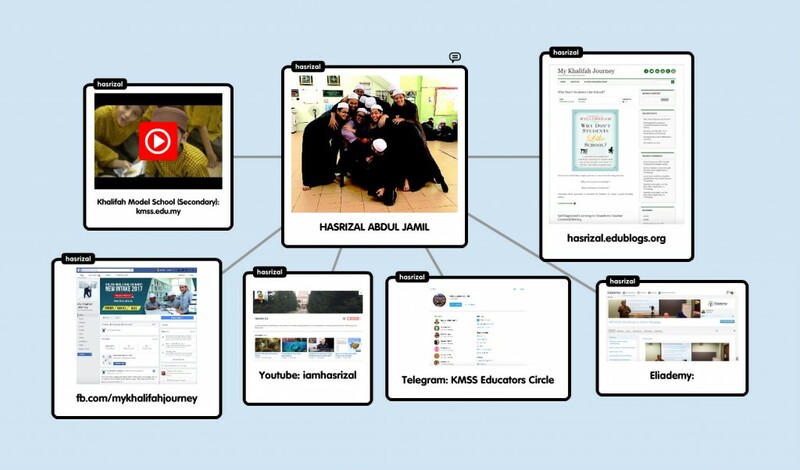 But we need more information on how these social media can be used between teachers and students to create a TEL that has a good functionality plus maintaining the sociability of it. 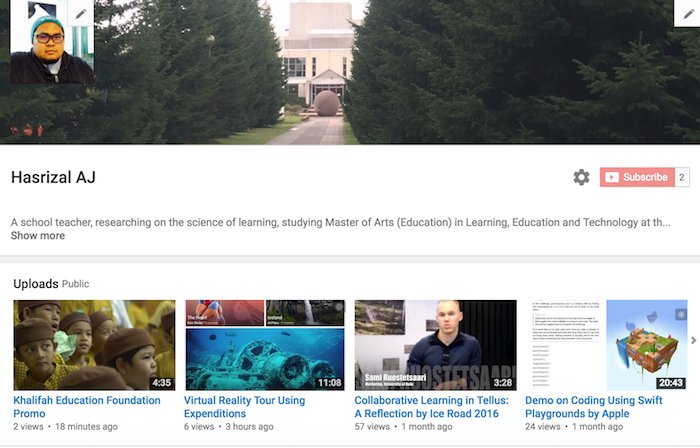 I created my Youtube channel specifically for my LET study, and left my personal Youtube account for individual usage. Fulfilling the INTRO workshop task, I created a tutorial video guiding audience on how to use OneNote to read and annotate pdf files. The video is created using Quick Time application on macOS. It is very important for a teacher to understand the pedagogical needs, and concerns within his or her classroom before deciding which type of technology the teacher wants to use. There is no point to use iPad to explore the hand outer structure while students have their own hand to explore. For many reasons, I am still comfortable using iPad and iPhone to assist my teaching because of stability and ergonomic design of the hardware, saves my limited 50 minutes or one hour session with students. Aurasma is an interesting app introduced to us in this course. This is the HP Autonomy’s augmented reality platform has an amazing recognition technology uses a smartphone’s or tablet’s camera to identify real world images and then overlay media on top of them in the form of animations, videos, 3D models and web pages. Using Thinklink I created a simple learning material to annotate an image on the web which turned the static image into something more interactive. I invited my children to join me on a virtual reality exploration experience using the Expenditions. This is an amazing app, even without the Google cardboard or Samsung Gear, my kids still enjoyed following me as their ‘tourist guide’. The Faculty of Education at the University of Oulu, Finland, has designed this INTRO course in such an effective way by simultaneously combining both the theoretical and practical aspects of learning and educational technology. It created a very positive motivation for me as novice in this field that I am on the right track to become someone who understands learning and pedagogically enlightened to know how technology can support the learning. 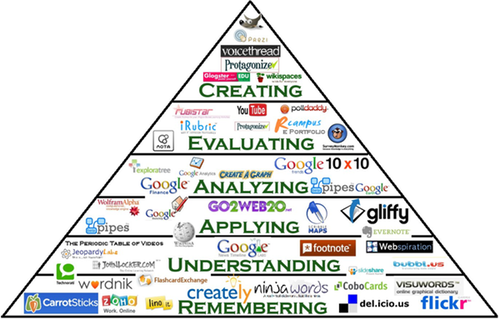 By manipulating technology, students can be empowered to the higher order thinking skills in a more dynamic approach. Technology cannot stand on its own. Even though it has a great potential for teachers to empower students ability in creating, designing, and communicating their learning beyond both the teachers and the students’ expectation, teachers are required to understand the interconnection between human and technology. Learning at the individual and collaborative levels has to be studied and well understood to identify how technology can be manipulated. We want technology not only to assist the teachers to overcome current challenges, but also to push the potentials beyond the visible limit. Thank you Hany and Jari for inspiring us and helping us to gain our confidence in becoming the future learning scientists. Thank you Sahiba for visiting. Thank you for your visit. Hope you found it useful. I was scrolling this website and found it very useful for me (I am an undergraduate student in overseas university – not too proud about myself but there were many reasons behind that). I am a transferred student which my studying period was 1 (in malaysia) + 3 (abroad) = 4 years (hardest engineering course in my uni). Frankly speaking, I was an excellent student who always got A minus in average for my subjects in Malaysia. However, when I received my academic transcripts during my first semester in abroad university, I got 3 PS (pass) and 1 FL (fail). I was configuring it out my study style here (abroad) and even made a comparison what should I do and dont. Obviously, I could say there were many differences how the students should behave when he/she in Malaysia or in abroad in terms of studying (but I prefer to choose the overseas one because it makes the students more independent and responsibility. Meanwhile, in my personal experience, there are some technical stuffs like how to really use the technology (dropbox, google drive etc) to maximize our learning style as a student / approach this kind of theory (your article). Hello Hasrizal. I found you through Edutopia and was intrigued by your comments about integrating digital technologies so decided to check out your blog. I am just beginning a Master’s of Education course on technology, pedagogy and content in Waterloo, Canada and as such, this post was of particular interest to me. In our introductory readings, I have learned that the teacher’s pedagogical beliefs have a significant impact on their use of digital technology (Petko, D., 2012). Willingness on the part of the teacher, and perceived confidence in using technology plays a significant role in successful technology integration. After learning how to use a variety of educational technologies, would you agree with this premise? Thanks for the info… very informative. I am in South Africa and we are introducing ICT into the schools. So many changes will be introduced. Are there any websites / case studies that explain change management for educators ? In the course I am taking about technology, pedagogy and content, we were introduced to two very interesting articles about introducing technology into education. constructivist orientations. Computers & Education, 58, 1351-1359. What I like about both articles is that there is an integrative approach; it’s not just about the technology! The teacher’s outlook, beliefs, willingness as well as the content and pedagogical approach all need to be considered and leveraged for effective introduction and use of technology. Good luck with your introduction of ICT! Assalamualaikum ustaz, saya ucapkan ribuan terimakasih atas ilmu yang saya dapat dari penulisan dan juga siri ceramah ustaz . Terutamanya melalui siri youtube, Halaqah Pendidikan Islam. Banyak pandangan ustaz adalah sama dengan pandangan peribadi saya tentang masalah sistem pendidikan sekarang. Atas dasar ingin melakukan sesuatu tentang pendidikan anak-anak, saya telah mendaftar untuk program Master in Education Phycology di UM dan telah selesai sem.September 2016. Saya mengikuti struktur Programme by Coursework and Research. 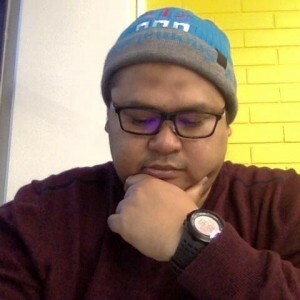 Tujuan saya menulis ialah untuk mendapatkan pandangan ustaz tentang research yang sesuai dan berimpak tinggi bertepatan dengan keadaan sistem pendidikan negara pada masa kini.